Glitz Design: Introducing "Beautiful Dreamer"
Just be sure to follow the commenting instructions listed at the bottom of each post! Well, today we have the Beautiful Dreamer collection to share with you...which is probably my favorite of the three because it is my VERY favorite colors all together. Sigh...so dreamy, just like the name! :) Without further ado, here is Beautiful Dreamer! Isn't this line just GORGEOUS!! Totally loving everything about it!! 1. Leave a comment on this post, telling us what you love most about "Beautiful Dreamer"!! again, a stunning collection - this seasons creations are all soooooo mooooost haves! This is the prettiest one yet! I love the colors and designs! So beautiful! I love this color combo and the designs. Those little letters are DARLING too!!! I need to figure out where I can find your papers! love this! love the colors and the glitzers and the stamps! OMG - what do I love appart from EVERYTHING!!!!! Out of all the CHA sneak peeks I have seen from all the manufacturers this is the one I need!!!! Awww!!! With two little girls, how can I not love this one? I love the colours in this! A gorgeous collection! Oh I love it all....I can just imagine all the great layouts I could do for my daughter! Such beautiful colors & I'm loving all the details. eeeeeeeeeeek!!!!!!!! this is amazing...I so want it!!! BAD lol. Seriously what a gorgeous collection!!! another gorgeous collection! You rock!! I love the ALPHA STICKERS! those are some of the most gorgeous alphas I've seen in QUITE some time! Great job! Absolutely beautiful! I am in love with the silhouette stamps!!! And everything else is lovely too! Ohh, very pretty. It's so soft and romantic. This is so beautiful!! I love how it's girly but yet grown up :) I have to have it all, I love it so much!! Blog post with all three of your new lines! So pretty and romantic! I love it! Oh My gosh! I think this maybe my favorite collection yet! Everything is So Pretty! Gorgeous! Those colors are stunning, would be great for wedding pages, or whatever...so versatile! Love those alphas! Love the gorgeous color combo and delicate impressions of vintage images. Fab embellishments that coordinate beautifully with the papers...what's not to love? I love this new collection...it's so gorgeous and the color combo is beautiful. I need this collection! Can't wait for it to arrive in little ol' NZ. Well done ladies! I think this is my favorite of your releases! I love the colors! This is so beautiful! What I like the most about is the pink and blue color combo! LOVE the Whatnots best...but I love the whole collection! Oh, so gorgeous! Love the shabby, vintage look! This is my favorite of the releases love the colors and patterns just lovely. I love this line!!! My most favourite - the sticker that says "I want to be with you until the sun falls from the sky". OMG I am so in love with this new line!!!! The stamp set is my favourite!!!! As always...I love the Glitzers and trim!! Just gorgeous! I love the vintage pastels! Simply Dreamy indeed. Love it!!! This lovely, romantic new line will be perfect for the scrapbooks that my mom has commissioned me to make for my sisters. This is my favorite so far. The name of this collection is perfect, the colors & images are so soft and totally dreamy! Really, does not get better than this ! Just beautiful, I love it all. The pink and blue color scheme on this collection is amazing!! Beautiful designs! Loving the glitzers and the stamps! Thanks for the chance to win! Love the beautiful colors in this collection!! The papers are a must have!! I was looking saying omg, omg, and hubby said WHAT??? I said you have to come see this...he thinks Im crazy...LOL. Can't wait to get my hands on all of it. Another amazing color combination!! I would have to say I love the papers!! They are just beautiful!! This one might just be my fave! Love those Glitzers! This is so beautiful - I just LOVE the stmaps, the gorgeous teeny alphas and the trims, but don't forget all the beautiful papers! I love the soft colours on this collection and the images are just divine. Love the stamps, the elements... really pretty. I'd love to create a layout and mini with this. Romantic, yes. Dreamy, yes. And "with it" at the same time. LOVE this collection. Oh boy this is my favorite line! I love the colors and the sweetness of it. my fave part if I have to pic 1 part are the overlays. Another beautiful collection that I can't wait to have in my creative little hands!! So yummy!! So sweetly pretty, perfect for little girls!!! I especially love the pink damask looking paper. 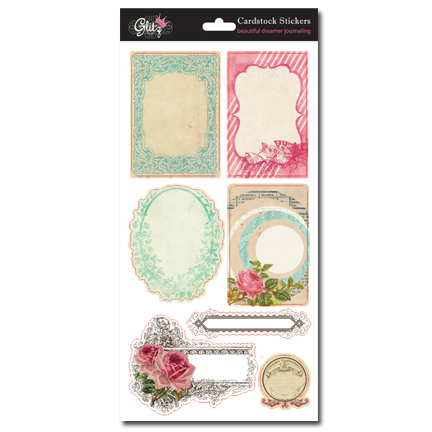 Such a lovely collection for feminine Heritage layouts! Another absolutely gorgeous collections - especially love those Mint Grunge Alphas! I love the stunning papers, the glitzers and the stamps!! I just love the whole collection! I love the dreamy roses and pretty images! I *so* want to get my pretty little hands this collection! This is my favorite one yet! I love the soft colors and romantic designs, especially the roses and silhouettes. The stamps are just gorgeous! Beautiful Dreamer is a gorgeous collection. I love it all, but the grunge alphas are amazing, and the "oh so hot" silhouette stamps reminiscent of times gone by. Just beautiful! great patterns and i love your layers embellishments! Wonderful new line, already on my wishlist! I love the perfect colors, the sweet design and the awesome embellishments. Just perfect for these special photos of my DD. The only thing missing are matching flowers! I left a comment earlier and now I have posted about your stunning CHA collection on my blog!! Can't wait to se this collection in person when they hit the stores!! love everything about this, so dreamy!! I am dreaming of creating with this gorgeous line! My favorite of the new releases! This is my favorite one yet too! Love everything about this one. Love the soft muted colors. Gorgeous. I love all the romantic roses! And the soft pinks & blues! Another must have-it's so pretty but subtle and soft also.I'm usually not a pink person but I'm getting this one-I could make so many pretty things to brighten my surroundings. Just so lovely! Love the colors and the designs! I just can'r say what I love mostly- as I love it all! The colors, the moode- my favorite ever collection! Love the colors and the designs! So cool! 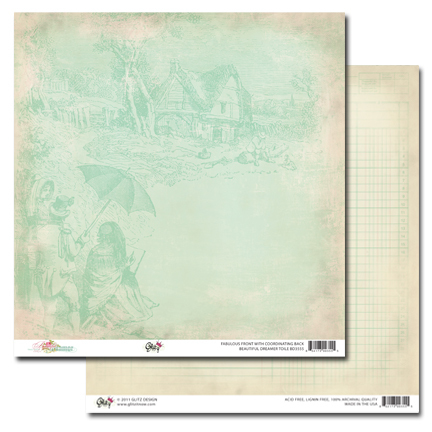 Love the chipboard album also! I love roses and those fantastic color connection - blue and pink! Love that this can be used for male or feminine pages! this is gorgeous!!!!! how pretty, love that pink damask paper!!! that pretty alphas and trims!!!! you guys are amazing!!! "Live What You Love" . . . oh my, I love that!! I love the colors in this collection! Very pretty! I posted a photo and a couple of links on my blog!! I MUST have this collection!!!!! LOVE LOVE LOVE it!!!!!!! 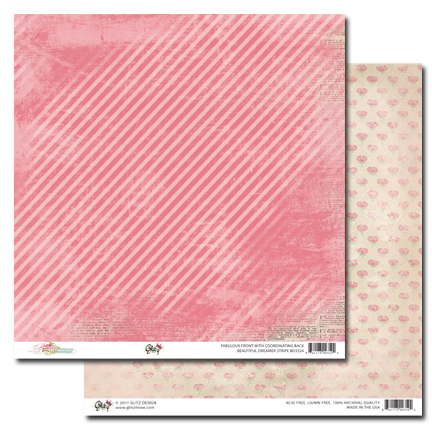 I love the papers, especially their soft colors and easy-to-use designs! Such a pretty girlie collection for my girls and granddaughter. So stunning!!! Love them all. This is such a feminine beautiful line! I would love to win! Thanks for the chances. What is there not to like in this line? My favorite would have to be the chipboard album. Thank you so much for the chance to win!!! Gorgeous soft colors and beautiful designs. Can't wait to use them. very pretty! love the color selection on this line! I love your papers with the layered look - fab! The Beautiful Dreamer collection is stunning! Vintage florals in pinks and blues! Just lovin' it! Can't wait to get my hands on this scrappy goodness! love the soft tones, pretty papers and excellent embellishments! great job! the colours are just the prettiest! There is so much to LOVE. I like the "WhatNots" the best. adore this collection and blogged about it too!!! Posted it on my blog here! It is beautiful and I want every last piece of it! Love the colors and the softness of this line it is completely perfect! Gorgeous and I can't wait to get my hands on these! Thank you so very much for the chance to win this!! Oh my!!!! This is definitely on my "Must have" list!! Too gorgeous! This beautiful paper brings back childhood memories of my grandmothers house with wallpaper roses and gingham table cloths. Stunning! I love the vintage look, but my favorites are the items with silhouettes. Wow, definitely my favorite line of the 3! Love the colors & sweet images. Wow. I love the colors and the name!! Beautiful Dreamer. I love it. This is gorgeous! Love the subtle designs in the paper and the silhouettes! I just love the vintage look of it and that pink is fab! I absolutely LOVE LOVE LOVE all of your latest collections!!!! I think that Beautiful Dreamer is my favorite though...the soft shabby chic feel...the pinks...the embellishments - everything is absolutely DIVINE!!!!! oh,, how I would be over the moon to win this!!!! Simply Beautiful and Chic with a hint of Glamour!! Perfect for my girls scrapbook pages. This collection has my name all over it!!! I am in love! Those stamps are amazing. I adore this line because its shabby chic. slash vintage. I need this collection - so PRETTY! I have so many project ideas swirling around in my head for this collection! HELP! Absolutely beautiful collections, such soft gorgeous colours. A really pretty collection! Wow, where do I begin?!?! 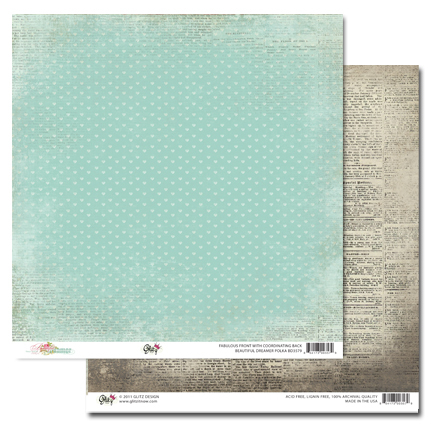 These are gorgeous, soft colors, and they have such a lovely variety of small prints with the lines, gingham, and just lovely vintage feel...absolutely lovely! 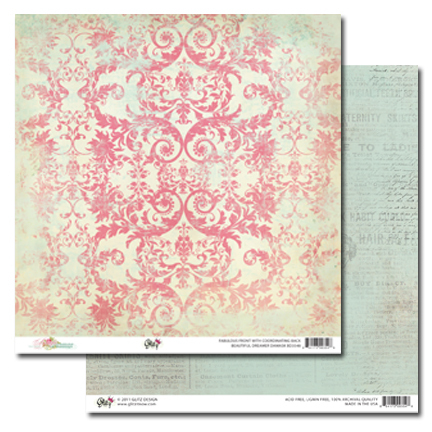 The papers are gorgeous and really look feminine and very pretty. Love the soft colors. So fun. I just love the beautiful colors in the patterned papers. Stunning! Love this new line! Can't wait until it's available to purchase. Absolutely gorgeous set, so fem and vinage, love it!! I love how romantic these look! I'm a big fan of aqua, and I love it paired up with pink. And did I mention the bling?. Gorgeous! I love the softness of the reds. Makes me feel beautiful. WOW!!!! I really need to save my scrappy allowance..I want all 3 of these new collections...love love love them! 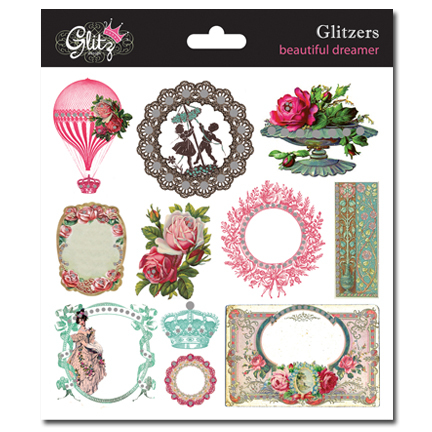 and TY Glitz for the chance to win some..
Love the soft colours and those beautiful cameo sillhouette stamps are to die for. Thank you glitz girls for this beautiful collection. The soft colors blend so perfectly. 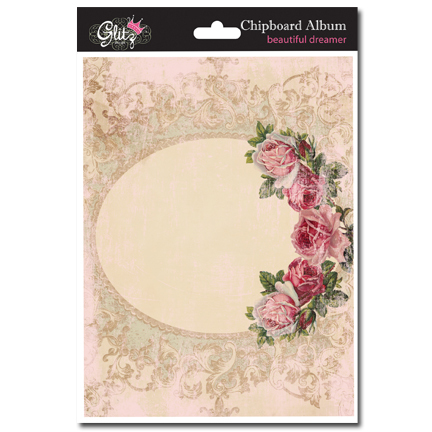 I can see using 'Beautiful dreamer' for a vintage heritage scrapbook. This line is gorgeous. I love the glitz and the beautiful colors. I need to get this collection ASAP!!! Wow luv the colors of the paper so beautiful! for Thank you sharing. Oh how beautiful! They are so ulta feminine and romantic. Just lovely. I love the beautiful pink papers and yet again I love the Peek a Boos! Thank you so very very much for this opportunity. I love the papers because of the softness - makes me feel as though I am dreaming! These papers are gorgeous! I love how wonderfully feminine and vintage they are! oh how fun! this is gorgeous gorgeous! i am so excited for your new releases!!! Wow - stunning!!!!! WANT IT, NEED IT - HOPE TO WIN IT!!!! I'm in live with the pinks and blues of this collection! So beautiful! Thanks for a chance to win. Far and away my favorite is the paper! Hope it comes in a 6x6 pad. I <3 the vintage pretty feel of this! I can't WAIT to distress it and play! Thanks for the peek! I love the soft, pretty colour combo in this one. Here's a link to my post! This line is breathtakingly beautiful. I love the delicate accessories that complement these olde world papers. 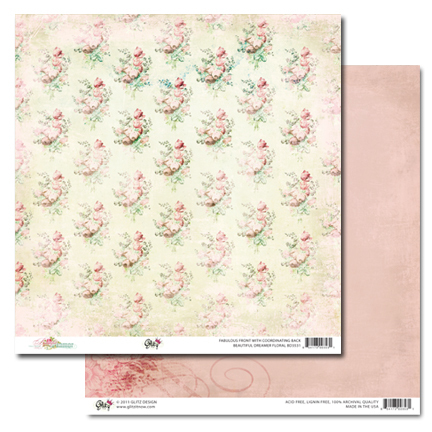 The subtle yet soft paper colors are delightful - what a great opportunity to win this collection! All three collections are to die for but this one "Beautiful Dreamer" is my favorite. I must pick it up as soon as it hits the stores. Online because there are no wood & brick stores closer than 85 miles! I love the beautiful vintage images in this collection! Just gorgeous! 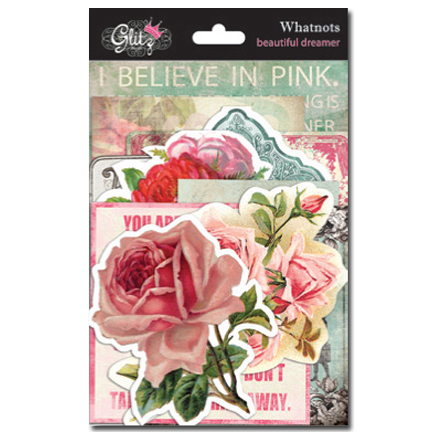 I love the soft, feminine feel of this collection, the Glitzers and Stamps are just fabulous. These are truly gorgeous! I love that they are romantic, vintage, & girly. 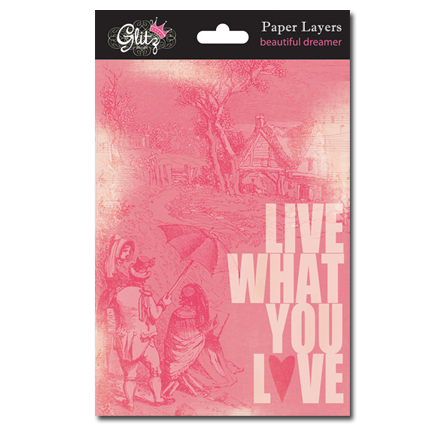 Love these papers and embellishments, great colors. Loving the stamps and cardstock stickers! Such a beautiful collection - very inspiring. Love the color combo!! This line is so beautiful and chocked full of stuff! Love it! Oh My.... I think you've outdone yourself. I love the colors and can't wait to get my hands on them. Sooooo many ideas already! Congratulations on a beautiful line. Many thanks for this fabulous opportunity! I Love the Dainty, Romantic feel of this collection!! It is so Beautiful!! Thanks for a chance to win! We have to say what we love MOST??? How about ALL of it! 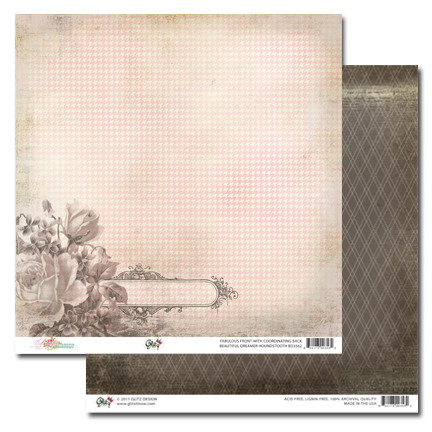 Love the vintage designs and the papers are the most beautiful ever! I want it, I want it all. I love it, I love it all. Beautiful Paper will make faboulous projects. O MY GOODNESS!!! This is what I have been looking for... My first Granddaughter was born March 24th and everything about her has been done in a pink shabby chic design, her room, her shower, her clothing, etc. 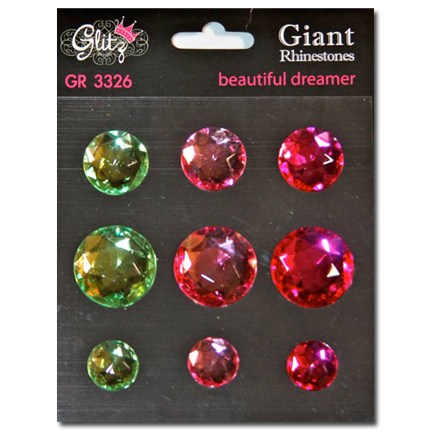 I've been searching for the perfect scrapbooking supplies for her first scrapbook, I haven't found it until I saw this, "Beautiful Dreamer".. It would be perfect..
OMG these are exceptionally beautiful, keeping my fingers crossed.. I don't think I have ever instantly loved a new release more! Lovey combination of colours and vintage feel, thanks for the chance to win this one. What beautiful designs & colours - definitely a MUST HAVE collection!